Let us set the backdrop for your next event! 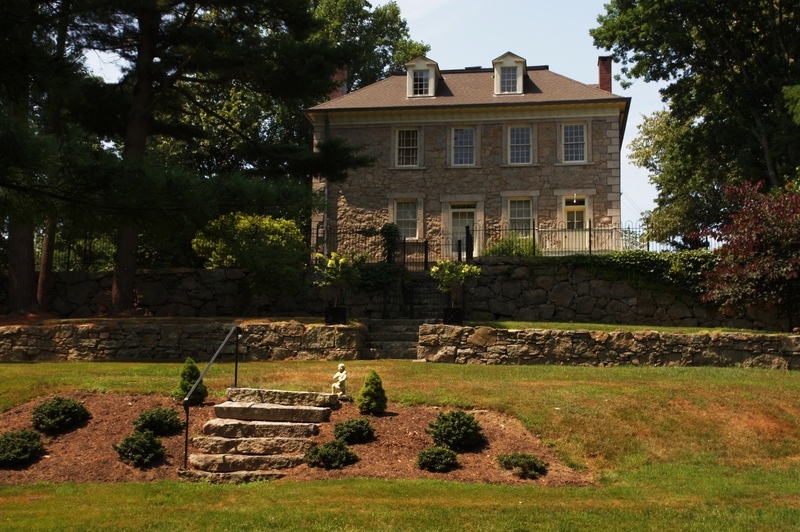 Situated in picturesque southeastern Connecticut, the Lyman Allyn Art Museum offers a unique site for your special event. The Museum grounds are an oasis of beautiful lawns and gardens, interspersed with contemporary sculptures. The interior of the Museum, along with its impressive collection of art, lends itself to multiple special event opportunities. 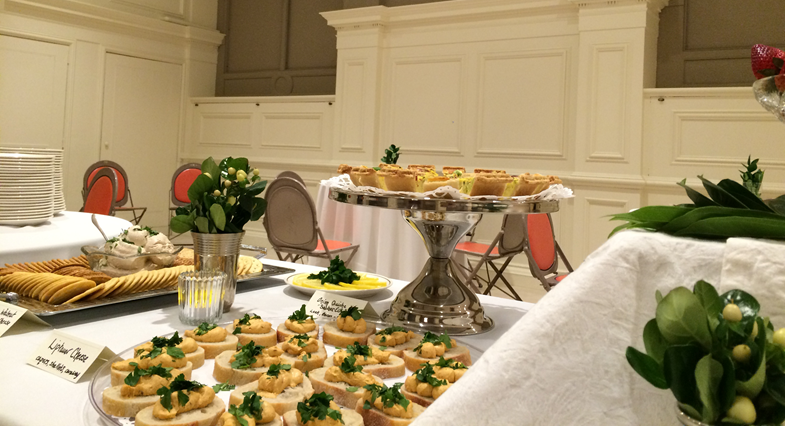 Bring your next corporate event, family party, holiday party, reception, shower, or wedding to the Lyman Allyn! 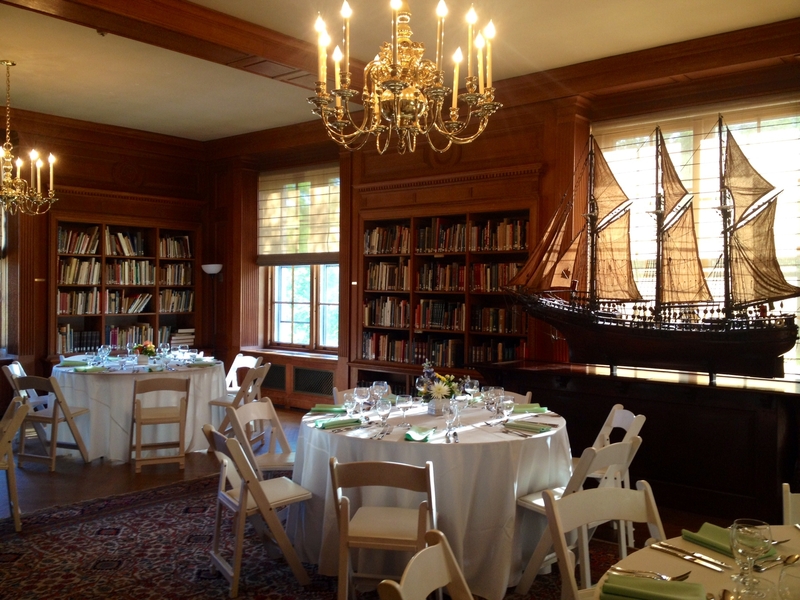 For more information about booking an event at the Lyman Allyn Art Museum please call 860.443.2545 ext. 2112 or email dawson@lymanallyn.org. With sophisticated architectural charm and practical accessibility, the Lyman Allyn is a stunning and elegant venue with a variety of spaces that are ideal for large and small events. To enhance your special occasion, private guided tours of the galleries can be arranged. See below to learn more about the capacity and functions of our rental spaces. In addition to individual rooms, the whole Museum and/or grounds may be rented as well. 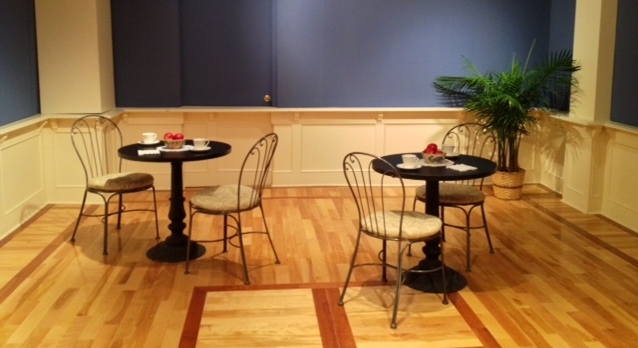 The elegant Hendel Library is located adjacent to the lobby and the museum’s professional kitchen. 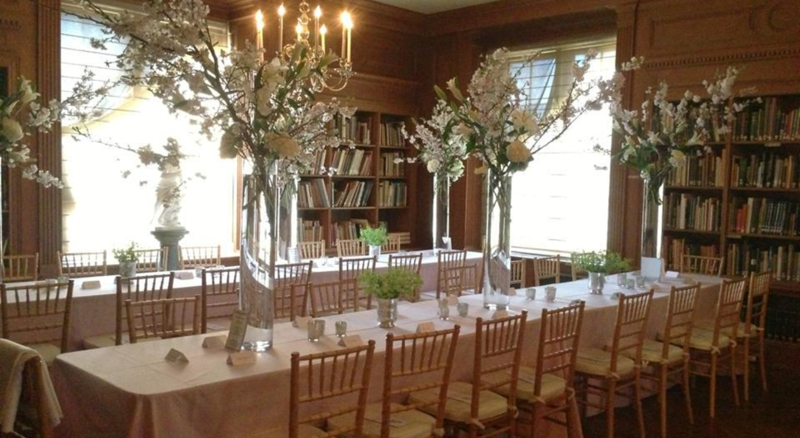 Offering unique ambiance for your guests, the Library is suitable for receptions, parties, seated dinners, wedding ceremonies, and business meetings. Capacity: 50 seated dinner, 75 - 100 cocktail reception. 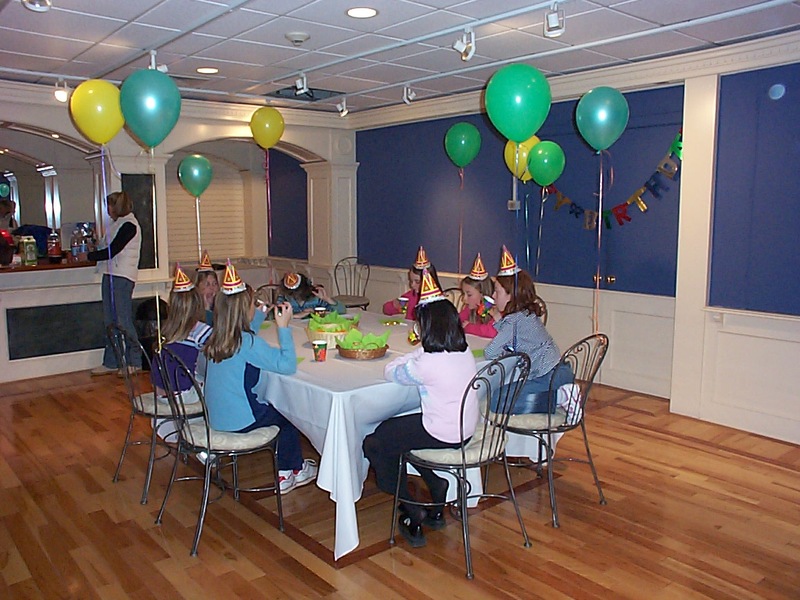 The Cafe, located on the lower level of the museum, is a perfect location to host small meetings, birthday parties, or act as an overflow room for other events. The space is equipped with a bar/prep-area and sink. Capacity: 20 seated dinner, 35 cocktail reception. The newly renovated Lehman auditorium, located on the lower level of the museum, is the perfect venue to showcase performing art opportunities, business meetings, training’s, seminar presentations, concerts, film screenings, dinner parties and much more! Capacity: 80 seated dinner, 80 cocktail reception. 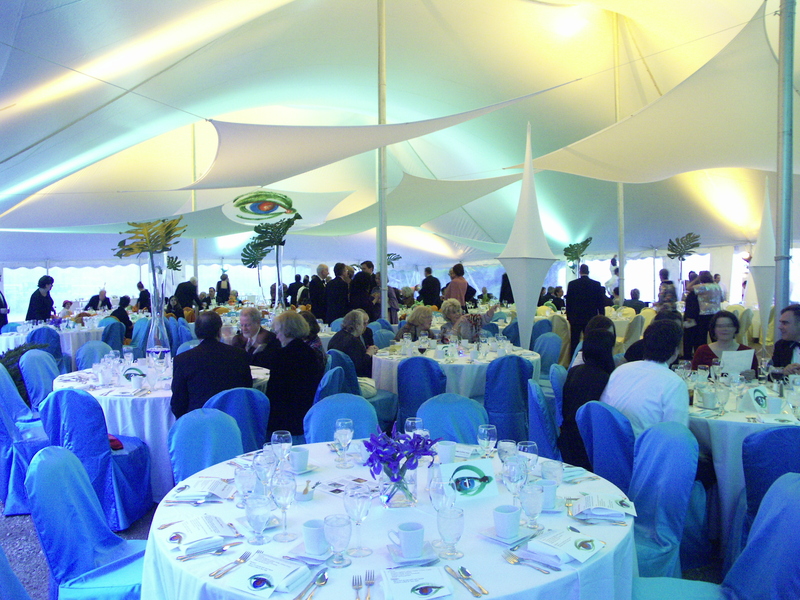 The museum’s beautiful grounds can accommodate small or large size tents on two sides of the building for events with larger capacity than the museum’s interior. Use your own caterer or select one from our list. 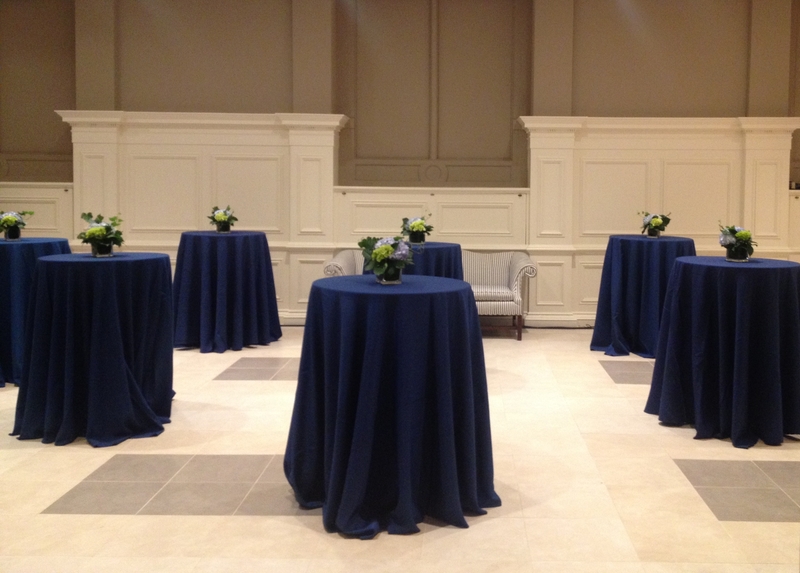 A professional kitchen on the main floor of the Museum ensures your event will be efficient and flawless. We can provide A/V equipment to make your presentations memorable and exciting. Tables and chairs are included in the price of the rental. The Museum does not provide linens, dishes, utensils, or glassware. The renter’s caterer will need to plan to supply all such items.